Modern Steak is the tenth place winner in the Best New category in the 13th Annual Best Restaurants Awards. Tomahawk steak, 36-oz. bone-in, 40-day dry aged AAA Alberta beef tomahawk ribeye. 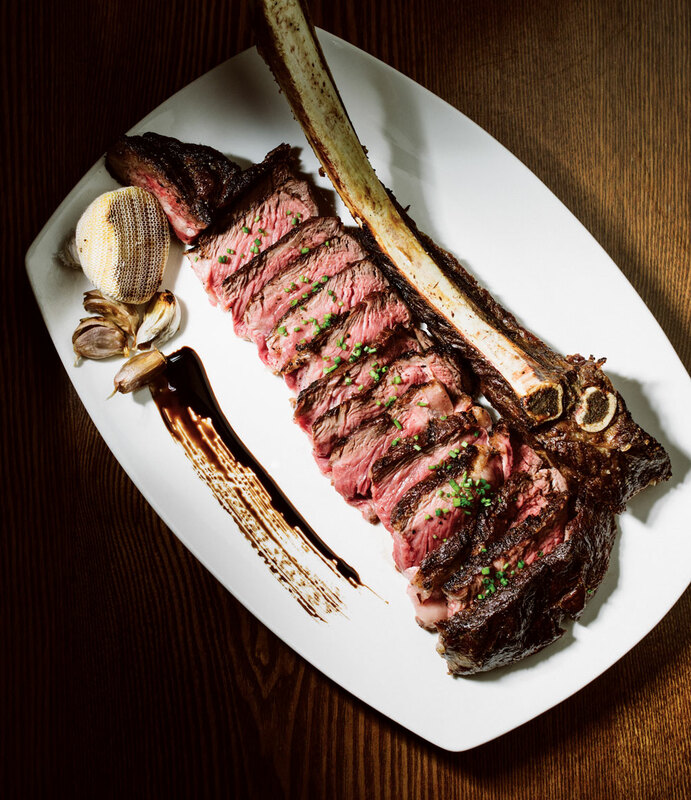 How do you reinvent the steakhouse in a city like Calgary? Modern Steak owner Stephen Deere’s answer was to challenge the connoisseur’s palate by differentiating the beefy offerings by breed, ranch, aging method (wet or dry) and feed program. It’s about taking taste buds to a deeper understanding of what this land tastes like – in other words, its terroir – and how that manifests in animals that have fed on our rich grasslands and have been finished on those same grasses or with the world’s best barley. Locally sourced Brandt Lake Wagyu, Heritage Angus Beef and Ben’s Alberta Beef from Picture Butte are seared in an 1,800F infrared broiler to lock in juices. Trendy Tomahawk Chops, classic filets and well-marbled steaks are complemented by an extensive wine list deceptively simplified to light, medium and full-body categories.